Sofitel LA is a magnificent hotel offering luxury accommodation and fantastic ambiance that combines the calm of a classy resort and charm of a modern town. The hotel itself is a 5-star facility and it is one of the most modern hotels in Los Angeles. You can expect the hotel to have sophisticated facilities and a top-notch customer service. The trendy hotel is located in Beverly Hills, specifically in La Cienega and Beverly Boulevard. This is opposite to Beverly Shopping Center and near the Sunset Boulevard and Cedar Sinai Medical Center. For accessibility purpose, the hotel is adjacent to the Rodeo Drive and Melrose Avenue. One of the best things about staying in this hotel is that you can enjoy a wide range of Beverly Hills’ attractions. There are also a lot of thrilling things to do in the urban center and surrounds. The Beverly Hills are a major attraction and are located just 100 meters from the hotel. There also the Los Angeles County Museum of Art and TCL Chinese Theatre which are located just a few kilometers from the hotel. The 10-storey accommodation facility has 295 rooms including 26 Luxury Suites and 2 Imperial Suites. Other suites include the Superior King, Beverly Luxury King, Hollywood Luxury King, Patio Luxury King, Beverly Suite, Hollywood Hill View Suite and Presidential Suite. Eight (8) rooms have been designed to cater for people with reduced mobility. So depending on your budget and specific needs, you can choose the right suite for you. 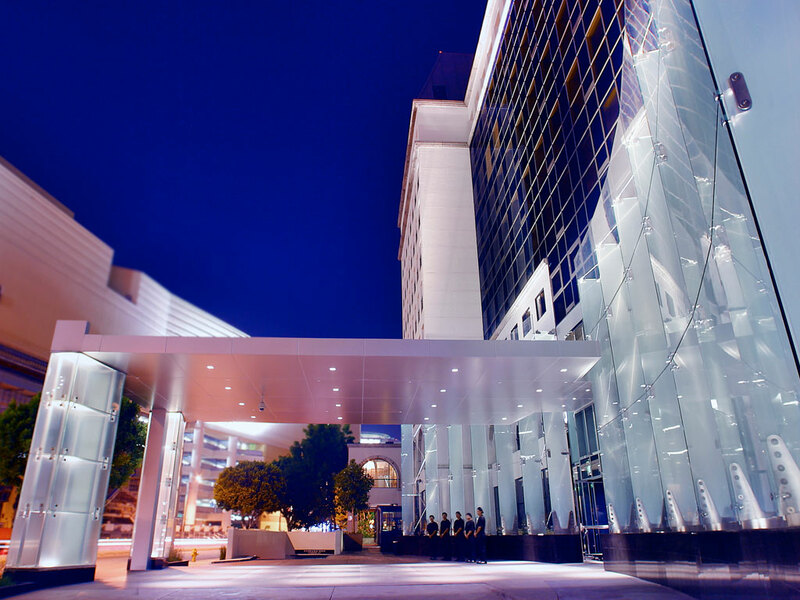 Modern facilities are countless at Sofitel LA in Beverly Hills. If you love French cuisine, just sneak into Esterel. This is a French-Mediterranean restaurant offering an exceptional dining experience. Sample your favorite champagne from a wide list of the world’s finest wines from the hotel’s bar. If you want private dining, the hotel got your back. Pamper yourself in a luxurious spa, fitness center or outdoor heated swimming pool. These facilities are well-equipped and give you the relaxation you need throughout your stay. The accommodation facility offers spacious conference and event rooms for both small and large groups. The rooms together with a pool deck span more than 11,000 sq ft of space. With this expansive outdoor space, Sofitel LA can be your best place to do filming, photo shoots, weddings and other celebrations. If golf or tennis is your thing, you can enjoy it with the help of the hotel management. There is a golf course (18 holes) and a tennis court nearby for those who want to indulge into the sports. Other features of interest include: Wi-Fi connectivity, high-speed internet, automatic air control, private indoor parking, coach or bus parking area, wheelchair access, pet friendly premises, non-smoking and child-friendly facilities. Sofitel LA is not just like any other hotels, this accommodation facility has achieved Planet 21 Gold, a facility standard for sustainable environmental protection and development. Sofitel LA is a magnificent hotel offering luxury accommodation and fantastic ambience that combines the calm of a classy resort and charm of a modern town.